Alan Gross was arrested in Cuba in 2009. He was released today and returned to the United States. The most tectonic shift in U.S.-Cuba relations in half a century – and the release of a U.S. citizen from a Cuban prison – were brought about thanks largely to the most famous man in the world (the Pope) and to a man whose identity we may never know. At the White House today, President Obama announced seismic changes that include re-establishing U.S. diplomatic ties with Havana 53 years after they were severed in the wake of Cuba’s communist revolution. He’ll also make it easier to export capital goods to Cuba. Meanwhile, Cuban leader Raúl Castro said he’ll release 53 political prisoners and increase Internet access and human rights inspections on the island. Obama and Castro finalized the moves yesterday during something just as momentous – the first direct phone call between U.S. and Cuban heads of state since Castro’s older brother, Fidel, took power in 1959. At the same time, U.S. aid contractor Alan Gross was freed after five years behind bars in Cuba on questionable spying charges and flown home to his family in Maryland. Although the U.S. trade embargo against Cuba and a ban on U.S. travel to the island remain in effect – only Congress can overturn them – Obama is using the full extent of his executive powers to undo Washington’s policy of isolating Cuba. The most tectonic shift in U.S.-Cuba relations in half a century was brought about thanks largely to the most famous man in the world and to a man whose identity we may never know. What helped clear the way to Gross’ release this morning was the intervention of Pope Francis – the first Latin American pontiff – who made a personal appeal last year to both Obama and Castro to agree on mutual policy changes. U.S. officials said the Vatican, in fact, was most recently the site for sealing the Obama-Castro deal. Just as important was a spy swap – the release of three Cuban agents serving prison sentences in the U.S. in exchange for the freedom of an agent in jail in Cuba whom Obama described as one of the U.S.’s most important intelligent assets there. U.S. officials said they would not identify that agent. But of all the players involved, he was arguably the linchpin that liberated Gross – and liberalized an outdated U.S. approach to Cuba. Alan Gross And The Vatican: Could The Keys Of St. Peter Unlock A Cuban Jail Cell? Can the Vatican free Alan Gross in Cuba? It helps first to consider how the Roman Catholic Church freed itself in Cuba. Cuba has seen surprising turns in recent years. Fidel Castro handing the communist dictatorship to his younger brother Raúl. Raúl decreeing capitalist reforms to save the communist dictatorship. Alan Gross Marks Five Years In Cuban Prison, Family Warns He's "Wasting Away"
Gross, 65, is serving a 15-year sentence for bringing what Cuban officials called illegal communications equipment into the communist island. Gross was more likely arrested as retaliation for the U.S. 2001 conviction of five Cuban spies. Three are still in U.S. prisons, and the Cuban government wants them freed as a condition for freeing Gross. President Barack Obama shook up a half-century of U.S.-Cuba relations Wednesday, announcing the two countries had agreed to start normalizing relations. Obama wants to set up an embassy in Havana, loosen travel restrictions and allow more trade between the two countries. South Florida's Cuban-American delegation in Congress criticized the announcement -- calling Obama the "Appeaser-in-Chief." 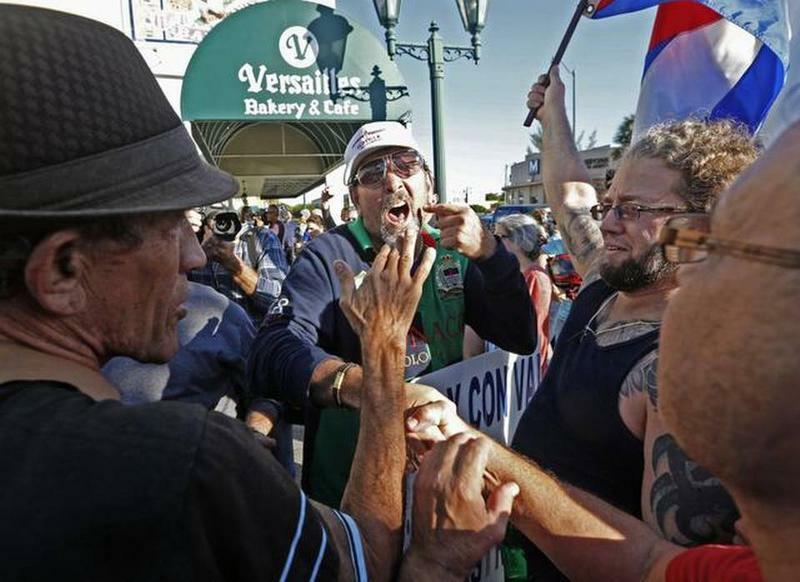 Protesters shouted down the president in Little Havana. 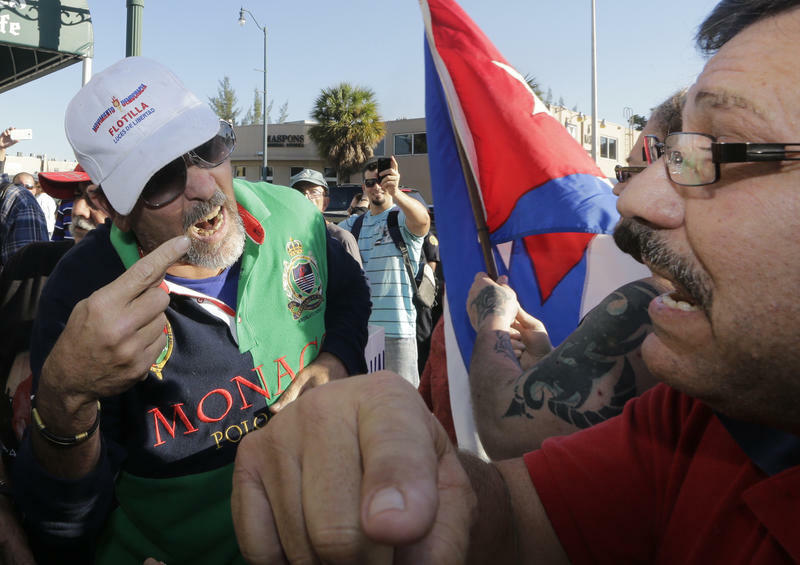 Just hours after the United States and Cuba announced they were moving toward normalizing relations, crowds gathered in Havana and Miami trying to come to grips with a historic shift. NPR covered the reaction in those two places with two pieces on Morning Edition. 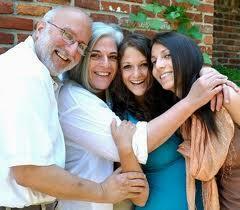 U.S. government contract worker Alan Gross was released Wednesday morning after a five-year imprisonment in Cuba. The 65-year-old, now in poor health, was sentenced to 15 years in prison by a Cuban court in 2011 for bringing telecommunications devices onto the island. WLRN has reported on Gross' trajectory with the Cuban government and you can read those stories here. 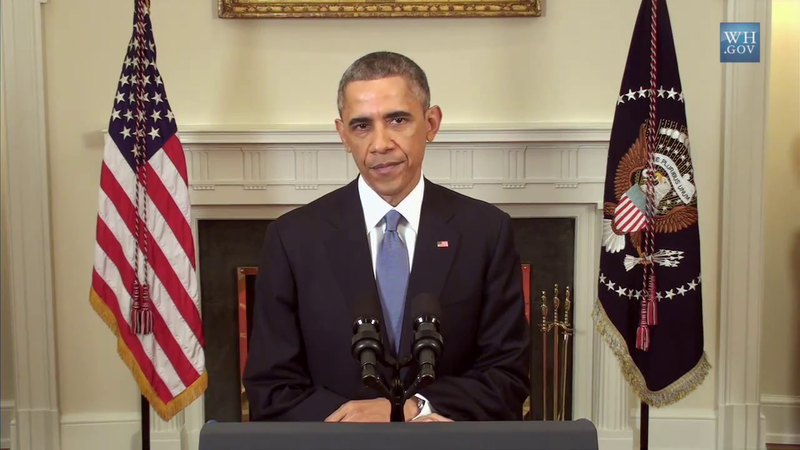 At noon Wednesday, President Barack Obama also announced his new approach in U.S.-Cuba relations. Fill in this form to share your take with us. We're compiling local reactions for WLRN programming and Miami Herald reports. Earlier today, President Barack Obama proclaimed that the policies toward Cuba over the past 50 years have not worked and announced major changes in U.S.-Cuba relations. Obama reiterated that opening travel, financial exchanges, and telecommunications between the two nations will allow American values to be more easily shared with the Cuban people.